This is the first Halloween in awhile that I have not dressed pretty for the occasion. But, as they say, "stuff happens." Things have been VERY hectic around here the past few days and I have had almost zero time for anything related to femulating. I have not even had time to answer my mail, but I hope to catch up with that by the end of the day. So I apologize to my readers who show up here every day to find something fresh (pun intended) only to find Monday's post at the top of the page. Didi commented on her Halloween costume, "Got a ton of smiles as Harley Quinn, even from my wife." Throughout my adult life, I never had the flu and never bothered getting a flu shot. Last winter, I caught the flu for the first time and when the symptoms peaked on a Friday night, my daughter took me to the ER. The hospital sent me home with a prescription and I recovered quickly. However, with people my age dropping like flies all around me from the flu, I promised myself that I would get a flu shot this fall. I got a flu shot last week and a few days later, I began to feel lousy. I felt so lousy that I skipped two Halloween parties, thus missing an opportunity to wear the new costume that I assembled for the holiday. So I packed the costume away for next year and so it goes. 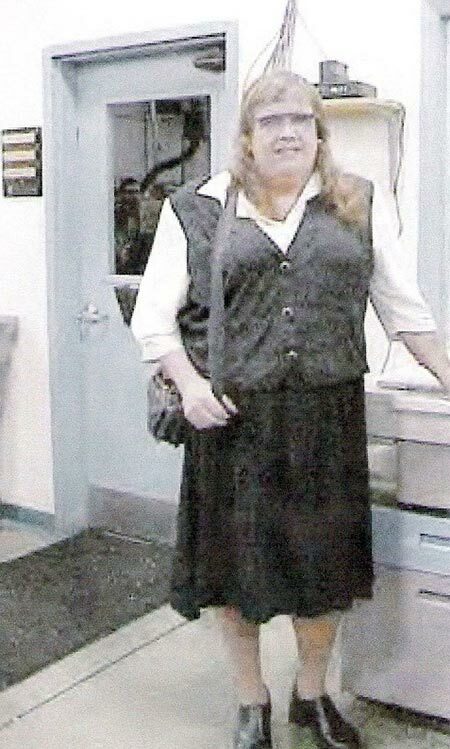 Joey's favorite Halloween picture is possibly the only Halloween picture of him crossdressed when he volunteered to work in a store on Halloween 2010. You can read all about it here on Joey's blog. Last year, the fall leaf count on my little acre was 16,730,421. This year, the leaf count will probably be about the same because the tree count did not change. I go out twice a week to deal with the fall. My fallen leaf weapons include a rake, an electric handheld blower and a gas-powered wheeled blower. Depending on how thorough I am, it takes 90 minutes to two hours to do the job. Add another 30 minutes if I wear heels instead of flats. Julie Shaw's favorite Halloween costume was magical! 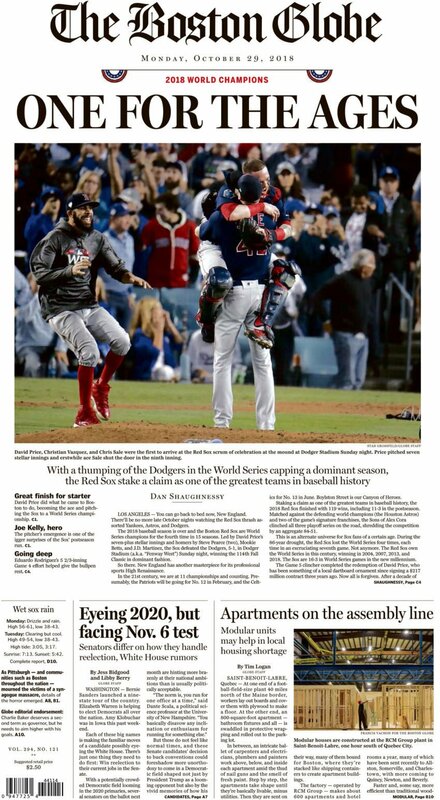 This is a rare World Series Edition of Femulate because I am writing it while watching the World Series. Author, playwright, performance artist and gender theorist Kate Bornstein wrote on "Why the Gender Bullies Can’t Win," an essay that appears in the current issue of Rolling Stone. She wrote, "It isn’t going to be easy. It may take a while. So we keep resisting. I’m 70 years old, and I’ve been resisting gender bullying from the day I was told I had to be a boy. I’m still alive, and joyously living the gender of my choice. We all can do that if we do it together with the kindness, compassion, and justice we all deserve." I urge you to read her entire essay. After all the transphobic flak we have been experiencing lately, I felt encouraged after reading her words. This is the outfit Kerry plans to wear on Halloween. "I'm to old to trick or treat, but a stroll through the mall would be just as fun. The killer heels I'm wearing killed my feet after two hours. Have fun on Halloween." At least one candidate for office in Connecticut is on the wrong side of the War on Transgenders: Rob Sampson who is running for State Senator from my district, Connecticut State Senate District 16, which includes the towns of Prospect, Southington, Wolcott, the north end of Cheshire and the east end of Waterbury (see the map). Sampson is a four-term State Representative representing the 80th State House District. He is trying to jump to the Senate now that his fellow traveler, Senator Joe Markley, is running for Lieutenant Governor. Sampson has a long record of introducing legislation and voting for legislation that negatively affects his transgender and LGB constituents. He voted against HB 6695, which banned the controversial practice of using therapy to alter a young person's sexual orientation or gender identity. He voted against HB 6599, which prohibited discrimination based on gender identity or expression. Also, Sampson has consistently voted against women's rights legislation. 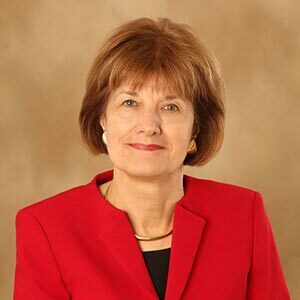 If you live in Connecticut State Senate District 16, I strongly urge you to vote for Vickie Nardello for State Senate and send Rob Sampson packing. Jonita looks royal wearing her favorite Halloween costume to work. According to the Sunday New York Times, The Despicable/Trump Administration "is considering narrowly defining gender as a biological, immutable condition determined by genitalia at birth, the most drastic move yet in a governmentwide effort to roll back recognition and protections of transgender people under federal civil rights law." The Department of Health and Human Services, which is spearheading this effort, argued "that key government agencies needed to adopt an explicit and uniform definition of gender as determined 'on a biological basis that is clear, grounded in science, objective and administrable.'" That is a laughable argument in light of the anti-scientific, anti-intellectual stance of the Despicables. 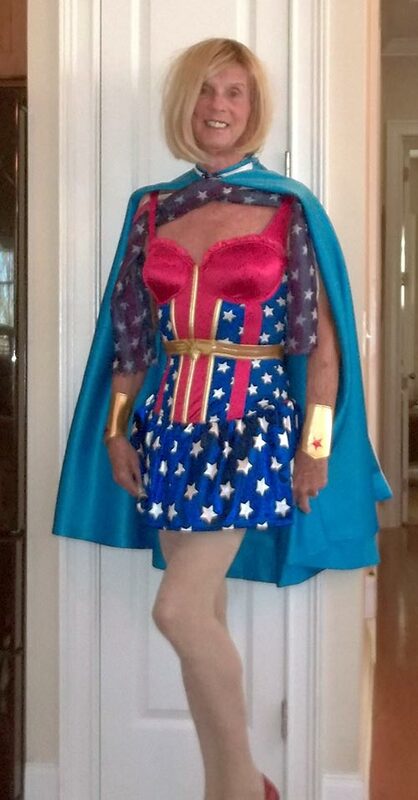 Marie femulated Wonder Woman at a 2017 Halloween GALA with proceeds going to a Children's Care Foundation. The Amazing Amazon was welcomed and accepted by other women attending the festivities. There are a couple of Halloween party opportunities next week, but they conflict with the World Series schedule. Normally, it would not be a problem, but this year my Boston Red Sox are representing the American League in the Series. This is only the seventh time this has occurred in my lifetime, whereas this will be my 67th Halloween, so I may put my Halloween costume away to wear next Halloween and watch the World Series. The Despicable/Trump Administration is working on a formal religious exemption to rules that ban federal contractors from discriminating against LGBTQ people, according to a several unnamed Labor Department sources who spoke with Buzzfeed News. According to the sources, the Despicable/Trump Administration is working on a policy that would allow federal contractors to discriminate against workers if the contractor claims that their religion requires them to discriminate against LGBTQ people. The sources did not know if the exception would be limited to federal contractors that are religious – like a Catholic charity – or if it applies to for-profit businesses. Conservatives favor religious exemptions for for-profit businesses like Hobby Lobby and Masterpiece Cakeshop, claiming that a religious business owner’s beliefs are violated if their business violates them. When I started femulating in public, I was afraid that people would recognize me as a crossdresser. As a result, I looked and acted as if I had something to hide; I walked with my head down, looked away quickly if I saw someone looking at me and I avoided encounters with teenagers, with males, with anybody! People who noticed, might wonder why I was acting as if I had something to hide and when they looked closer, they might figure out why ― because I was a guy crossdressing in public. 1. Act as if you belong, so walk tall and strut your stuff. 2. Don't look away furtively if other people look at you. Do the opposite: look back at them and disarm them with a smile. 3. You are a beautiful woman and you should be happy about it, so smile, smile, smile. On Monday, Joanna's Musings From My Everyday Life was a breath of fresh air. 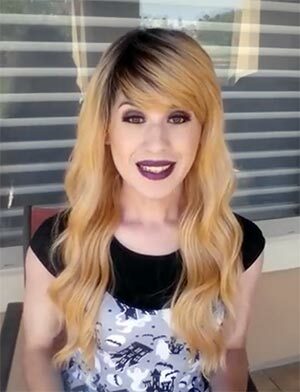 In that blog post, she refers us to a YouTube video by a twenty- or thirty-something crossdresser who talks about why she chose not to transition and why living as a woman part time is good enough for her. I highly recommend that you go to Joanna's post and follow her link to watch the video. After viewing the video, I think I was a little hard on myself when I wrote in yesterday's post, "My wife married a man, not a woman, so I pretend I am a man most of the time. I am only a woman when I am not with my wife. Sounds like I am living a lie when I pretend to be a man and I guess I am..."
Nicole wore her favorite costume to a Royal Canadian Legion Halloween party "many moons ago"
In response to my offer to Ask Me Anything, Romney wrote, "How cognizant are you of underclothing, your so-called 'unmentionables,' during the day? Are you constantly aware or are there lapses while you're engaged in activities?" 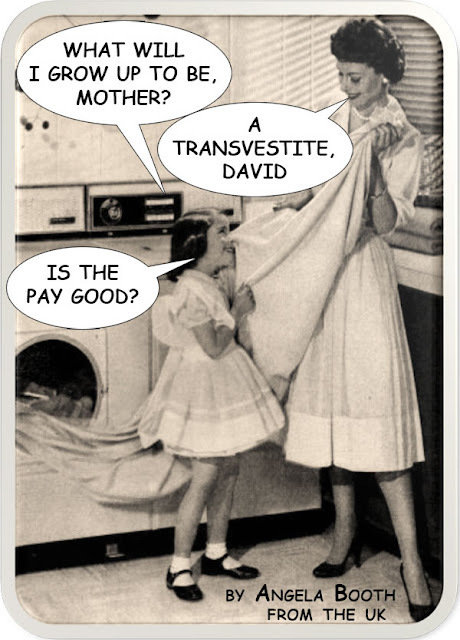 When I am dressed as a woman, I am seldom cognizant of my unmentionables. I typically wear a longline bra and a girdle. I like the way that they look on me and I like the shape that they give me, but they are not a turn-on. Once I put them on, I forget about them unless something causes discomfort, for example, a too-tight bra strap digging into my shoulder. Otherwise, if my unmentionables are doing their job, they become my "invisibles." Romney also asked, "Are you 'dressed' to some degree each day?" I am not "dressed" to some degree each day. 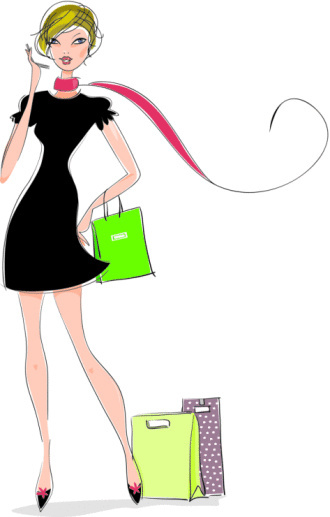 I only dress when I go out or when I am trying to put together an outfit to wear or when a new garment is delivered and I want to see how it looks and fits. I love wearing women's clothing, but like my unmentionables, they are not a turn on. Rather, they are a means to an end and that end is being a woman. My wife married a man, not a woman, so I pretend I am a man most of the time. I am only a woman when I am not with my wife. Sounds like I am living a lie when I pretend to be a man and I guess I am, but I am committed to my marriage and so it goes. 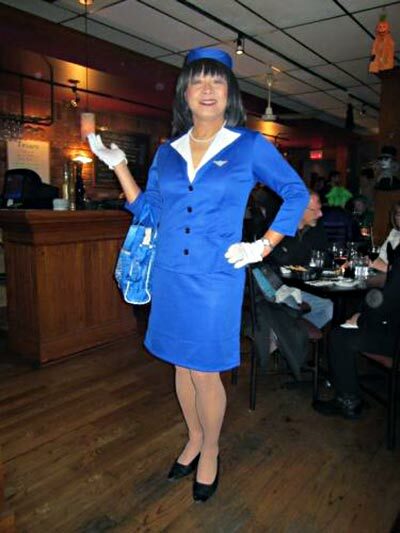 Nancy Ng's Pan Am stewardess Halloween costume was her favorite.